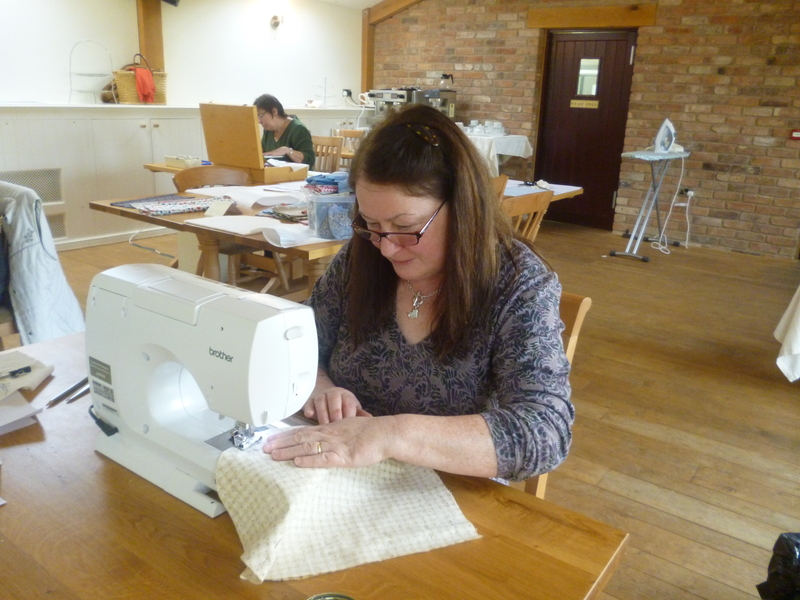 Well the first of my sewing workshops in conjunction with the Manor Farm Tea Shoppe was really enjoyable. 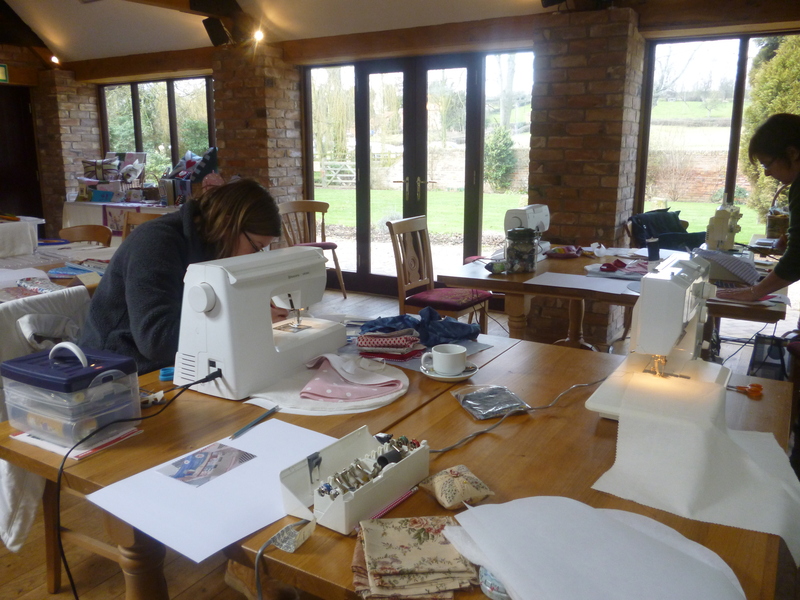 I was really pleased with the venue, the purpose-built function room seems to adapt so easily to all manner of events and I can honestly say that it is a great place to enjoy a day’s sewing. On arriving early on the morning of the workshop to finish the setting up preparations, my walk through the trees on the approach to the tea rooms was greeted by birds, squirrels and snowdrops enjoying the early morning sunshine, it was going to be a good day. 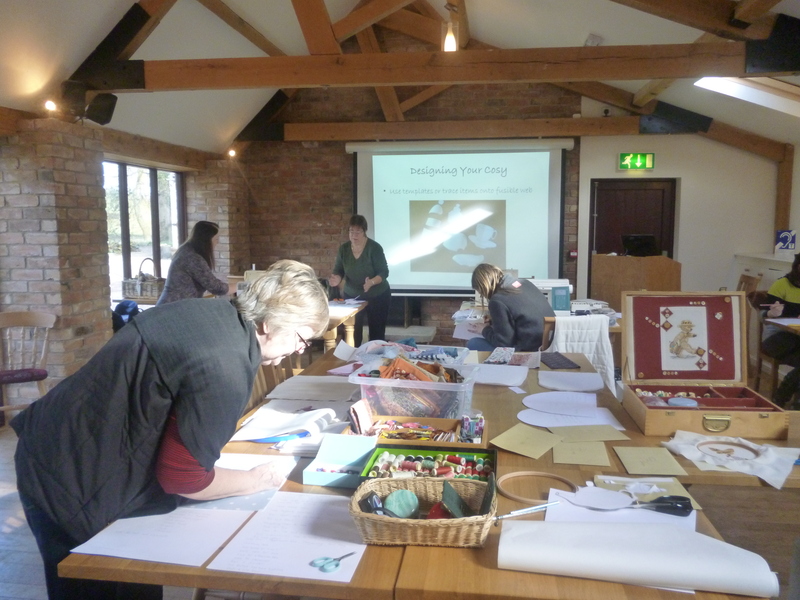 The function room has windows all along one side and skylights which meant there was plenty of natural light ideal for sewing and also a large projector and screen which I was able to utilise for my presentation. 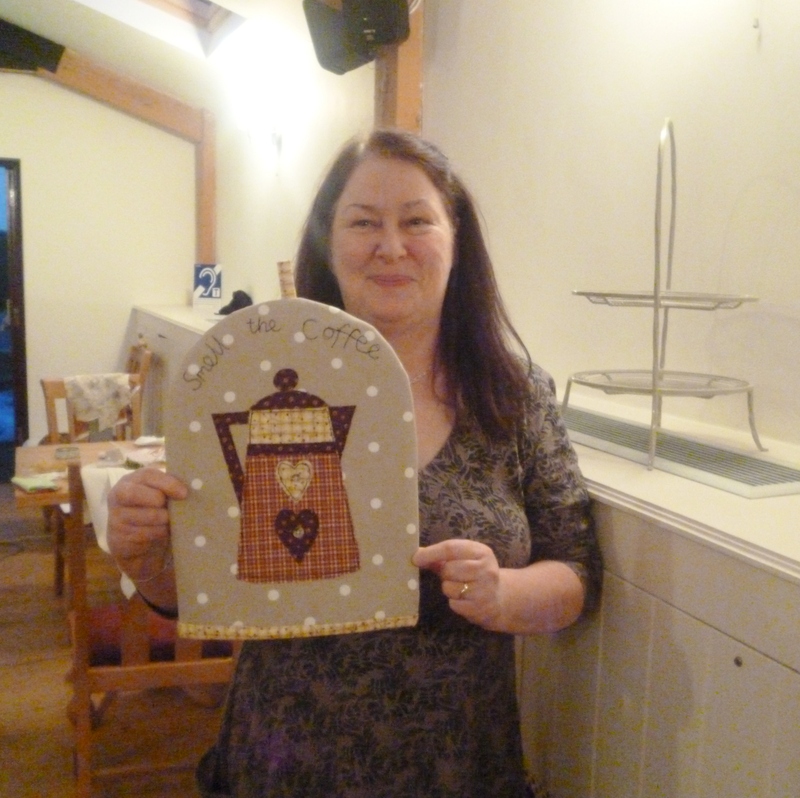 Our workshop’s aim was to produce a beautiful tea or cafetière cosy by the end of the session to take home, featuring applique and free-machine embroidery which was a new skill to all the course participants with varying degrees of general sewing experience. Claire, Trish, Caroline and Linda selected their materials and I could already see that they had a good eye for colour and set to designing their cosies. There were demonstrations on using fusible web, demonstrations on free-machining along with tips and a practice session before actually going for the final design. It was quite a challenge to get everyone to have a break for lunch! but on doing this we were faced with a lovely selection of sandwiches; smoked salmon and cream cheese, tuna mayo, cheese and pickle, ham, side salad and crisps along with as much tea and coffee that you would like. This was then followed by freshly baked fruit scones, jam and cream presented beautifully and delicious. I think we were well and truly spoilt and this was included in the price of the workshop! I have to say the results were absolutely amazing and very accomplished, with all course participants producing different designs. Take a look at these aren’t they great? 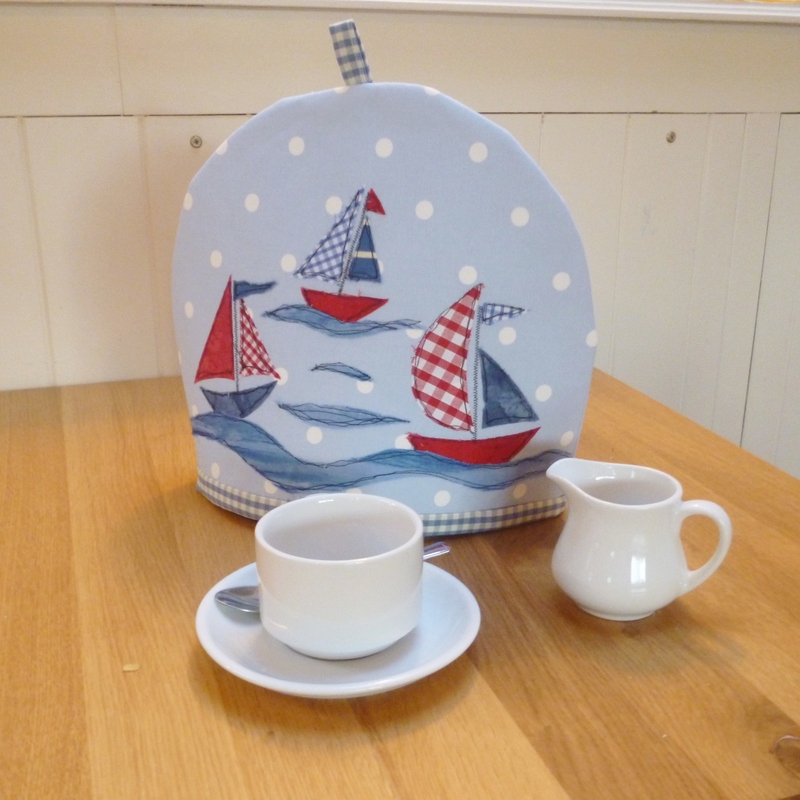 I just love Trish’s design the sailing boats look so jaunty and have a great sense of movement and perspective. 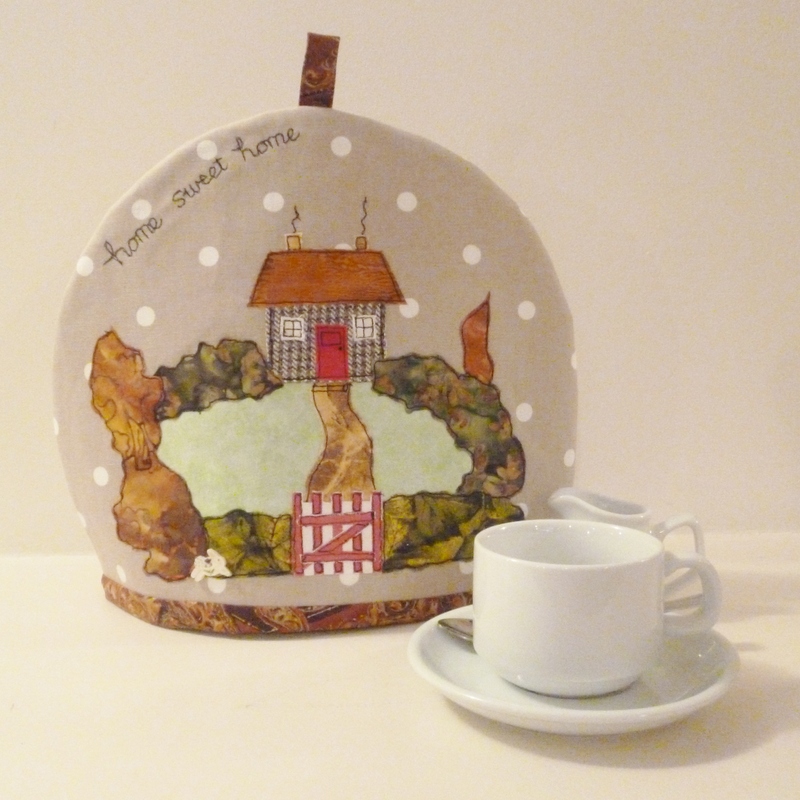 Caroline’s ‘Home Sweet Home’ tea cosy was very detailed and incredibly neat. 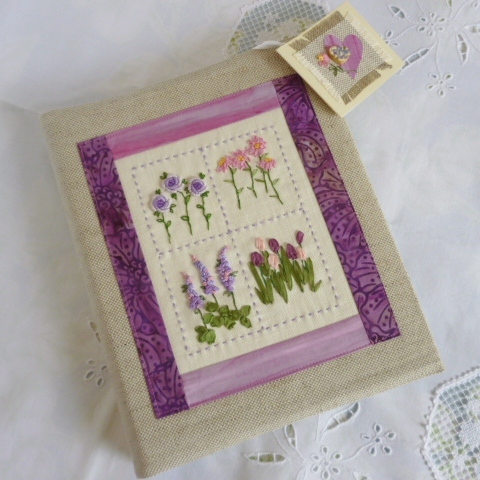 She selected a lovely combination of fabrics for her design, batik fabrics for the hedges around the cottage, the cottage in a wool check which looked like stone with a contrasting bright red front door. 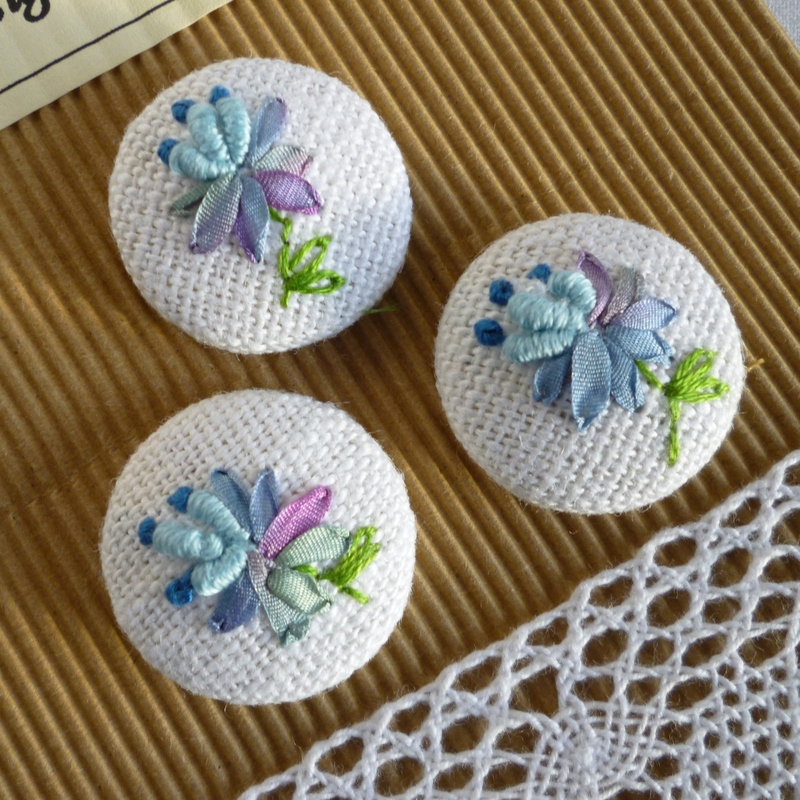 The addition of a ceramic rabbit button further enhanced the design. 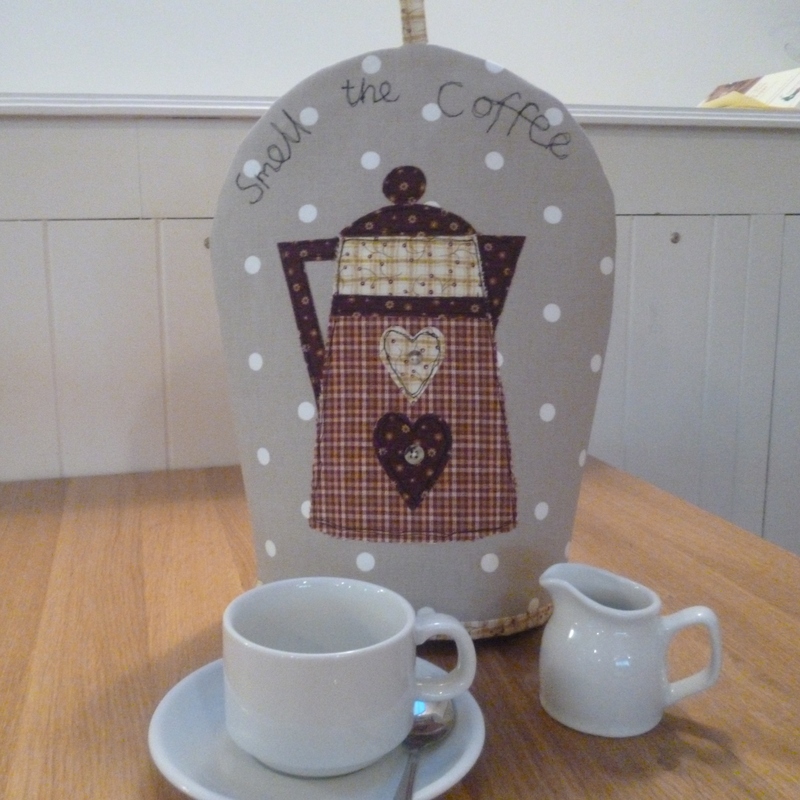 Linda’s cafetiere cosy was made from lovely toning homespun plaids and prints and I love the colour combinations. 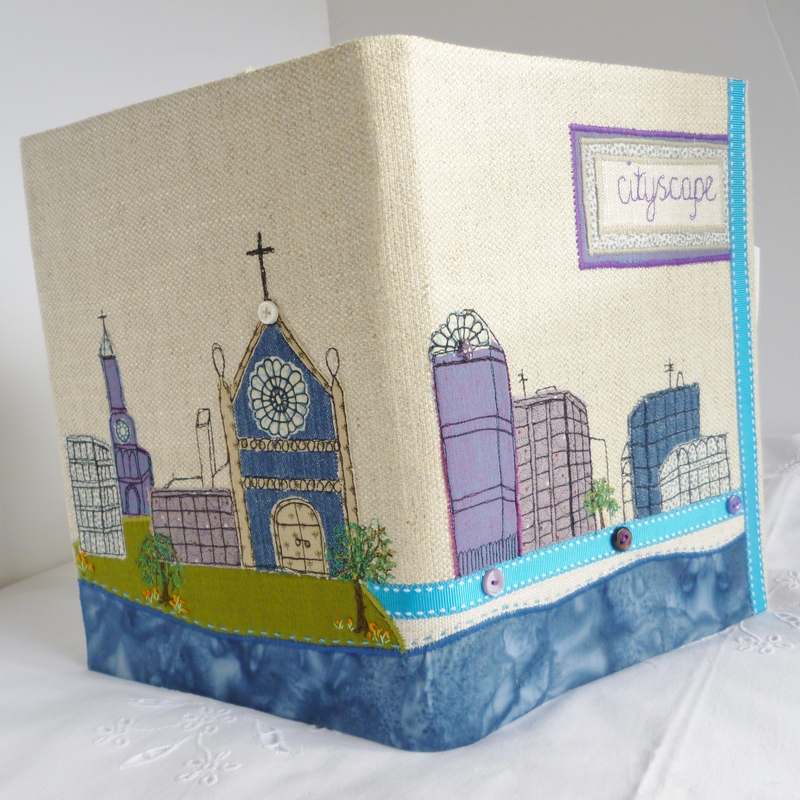 Again, this was a first attempt at free-machine applique, pretty impressive. 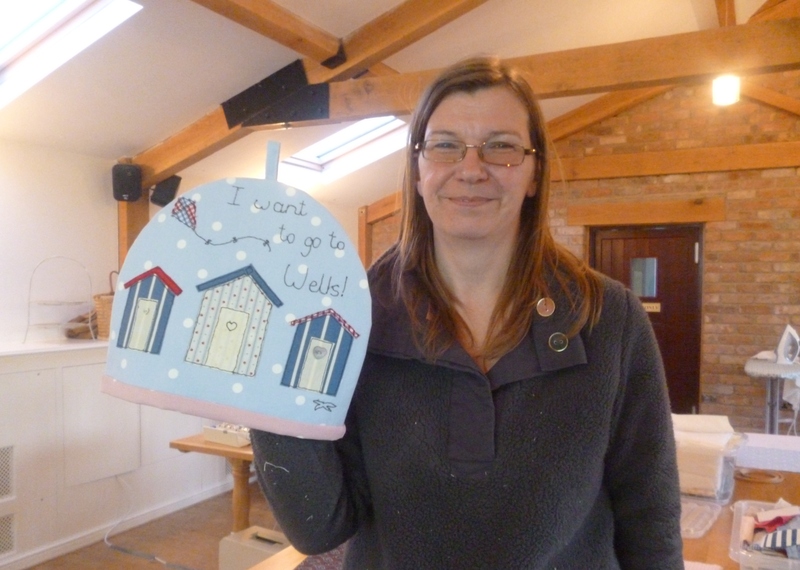 Claire’s design was inspired by her love of the seaside and her visits to Wells-by-the-sea and features the lovely beach huts that can be seen there, along with flying kite and starfish! This first attempt at free-machine handwriting is fabulous and the overall design a real success and I know she was very proud of her finished result and so she should be. 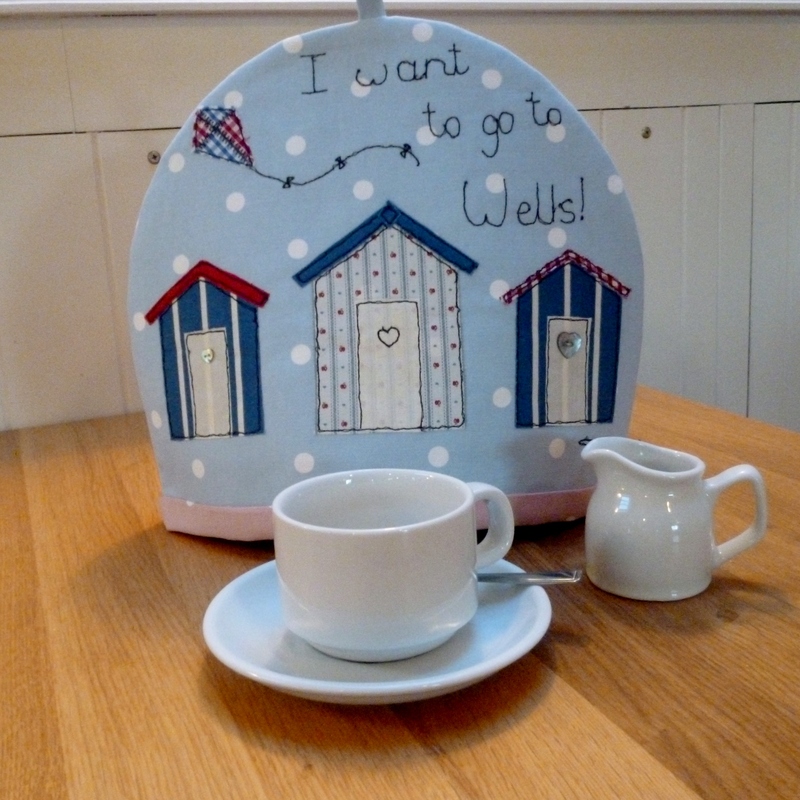 Think I want to go to Wells too. A great way to spend a day with some really splendid results.If you fancy attending one of our workshops please check out my events and workshops page or click here Many thanks to everyone, it was great to meet you. What an amazing venue, creative people, fab new techniques, and an inspiring teacher. On top of all that…..CAKE!!!!! Can’t wait for more dates. Soon pls. It was a lovely day Sally, more dates planned. 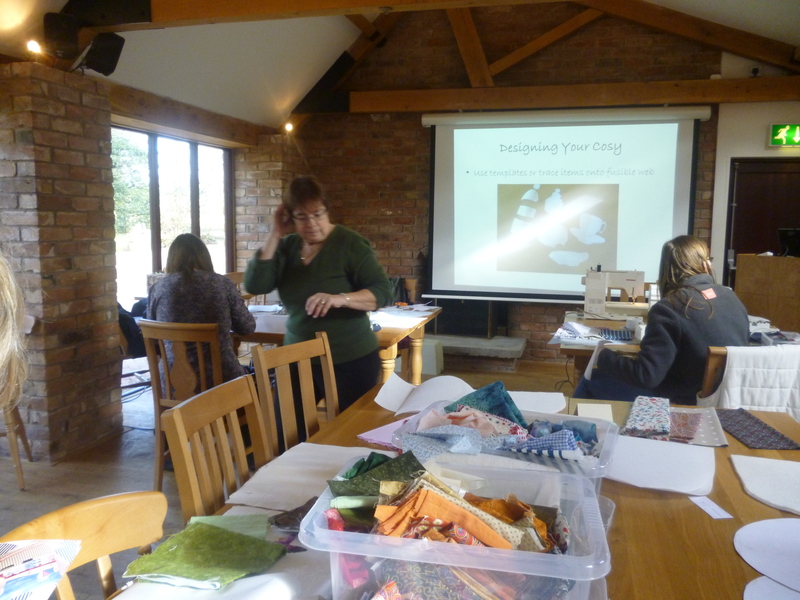 It was a fabulous day – I was so chilled out by the end of it.I learned new techniques which I fully intend to use on all sorts of projects, very inspirational! 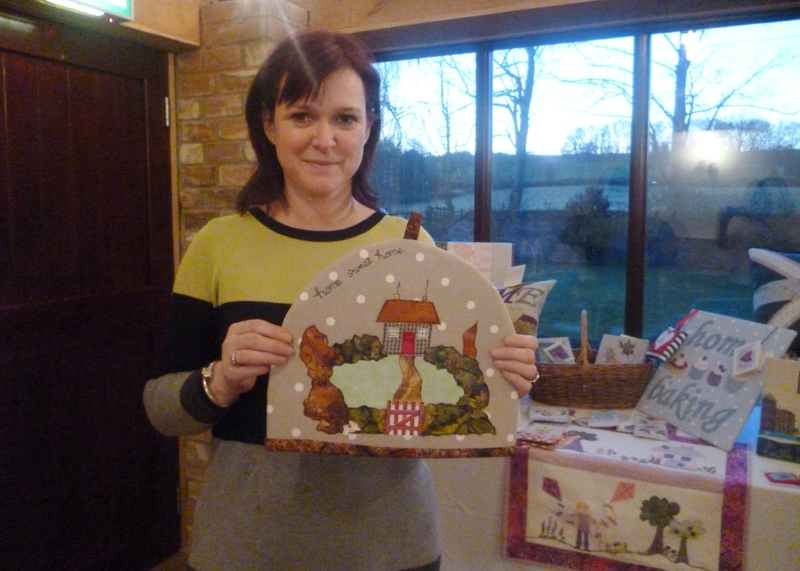 The venue was lovely and we all had a super time – bring on some more please! I’m really pleased you enjoyed it, it was a lovely group of people too. More dates being planned, can’t wait, and those scones mmmmmm…. What a great idea, combining a new sewing technique with scones sounds like my perfect day! I’m a bit far away in Cambs but let me know the new dates when planned and I’ll certainly do my best to join in! 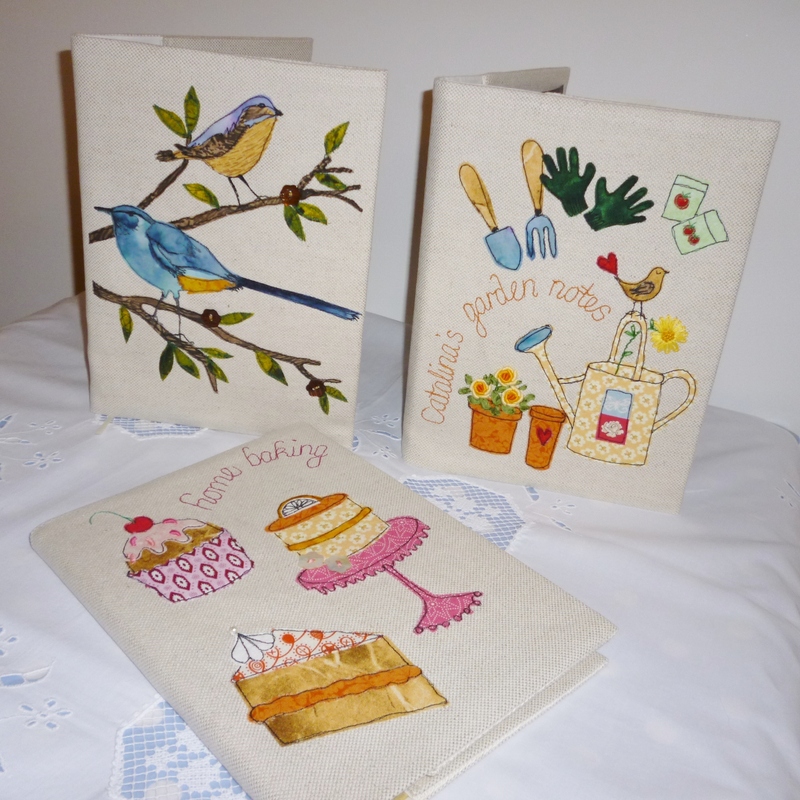 Many thanks, next one planned is 20th April with emphasis on embroidery. What an enjoyable way to spend a day! 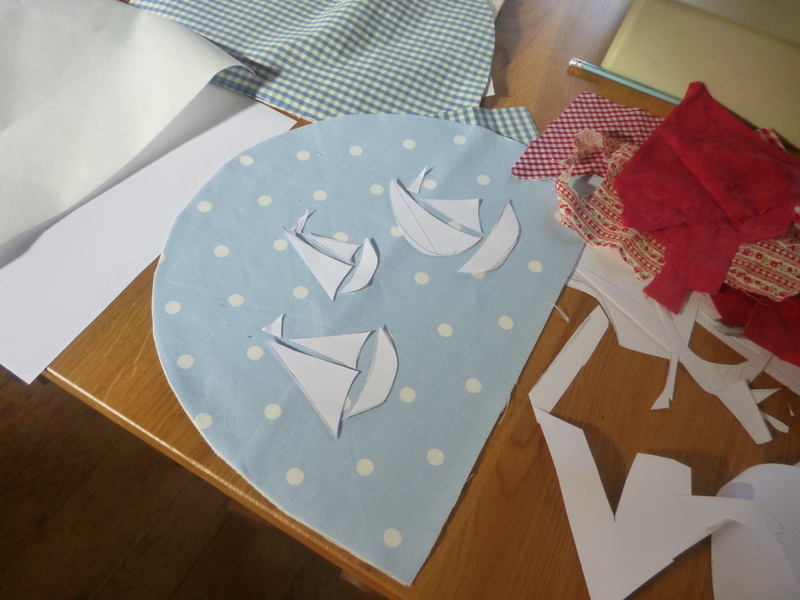 Sewing & eating in good company. 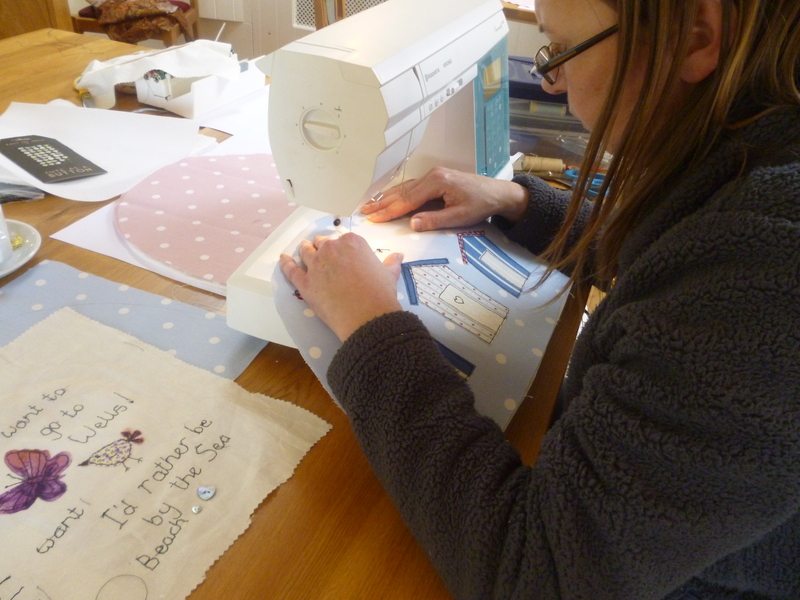 I learnt lots of new sewing skills and learnt how to use my sewing machine a bit better due to the patience of such a good tutor – thank you Jane. Perfect venue with good food, I would highly recommend the day to anyone. Can’t wait until the next course! 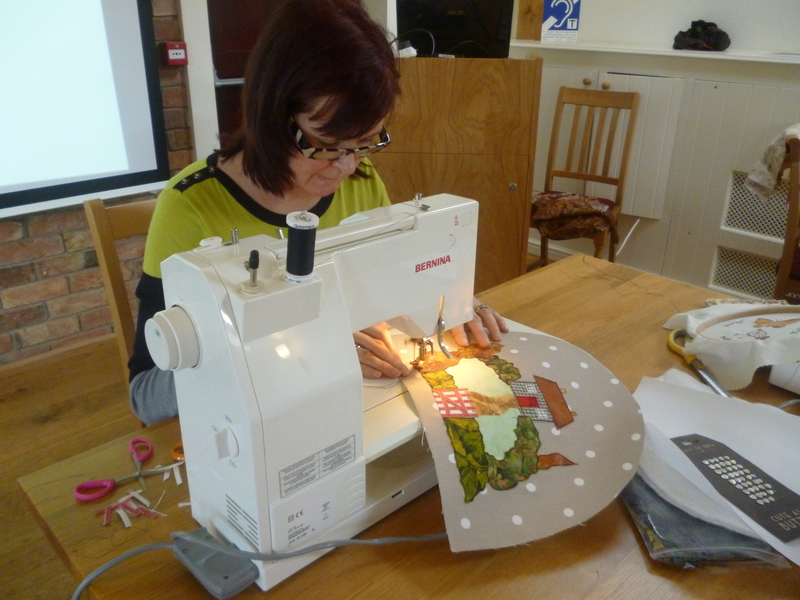 Hope your embroidery foot has arrived and you are giving it some welly! I have checked out the required new foot for my machine too! It’s nice to learn a new trick isn’t it? 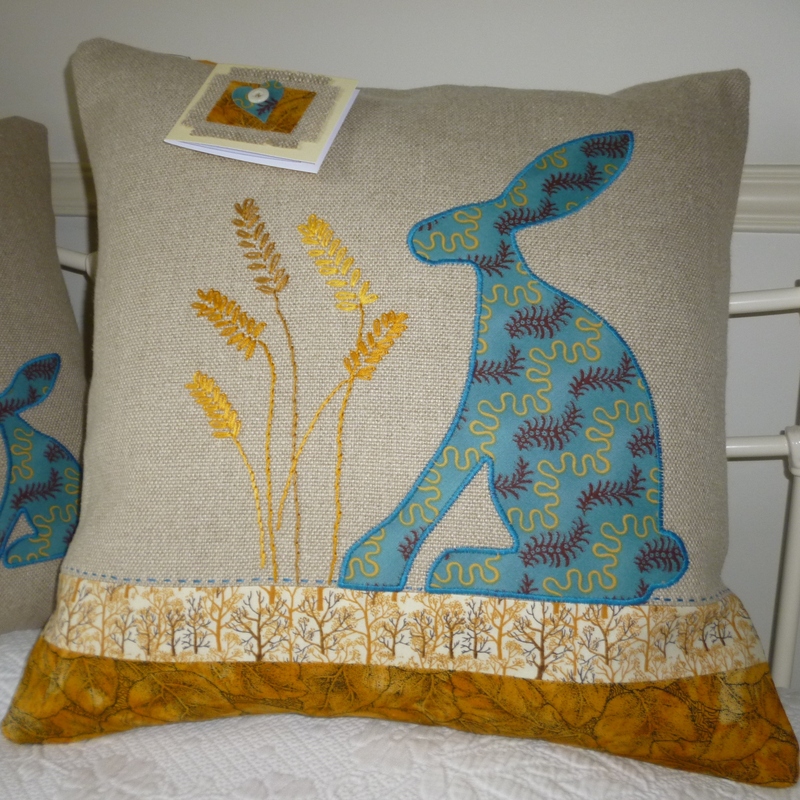 That’s great, be warned free-machine embroidery is addictive!